"It's white!" I said as I scrubbed the side of the house with warm soap and water. Truth be told, I knew it was white. This house for sale in the Avenues in Menlo Park just needs a new owner that's all. It has vinyl siding which made the scrubbing possible as opposed to to it needing new paint. With vinyl siding you can scrub away and get the same look each time. 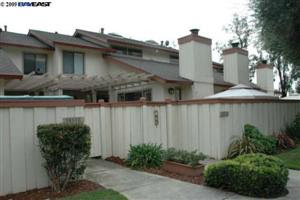 We listed the home for sale in the Avenues in Menlo Park about 3 weeks ago. At the time of writing this post--I feature it here at http://www.tricityhome.com. There was a comparable just one block over in November of 09 that sold for 530k. Granted it was a 10 and had one small room added to it, but still our home for sale in the Avenues in Menlo Park is listed at 429k, 100k less. Just think of the possibilities I thought. This home for sale in the Avenues in Menlo Park is an incredible alternative to owning a condo or townhouse in the Stanford vicinity. The home for sale in the Avenues in Menlo Park is a two bed one bath single family home on a half lot of about 2600 sq ft.
We are getting 3 showings a week, but still no offers. I get calls from other agents saying it is priced right and that the area is great. So, that can only mean one thing--it's the condition of the house that is preventing us from selling it. I visited our 747 16th Avenue home for sale in the Avenues in Menlo Park and got out the ladder, a bucket, scrubber and the hose and got to work. two and a half hours later, I was done. "It's white!" I said jokingly to the owner. We laughed and likened the house to a tree that grows moss only on the north side. Joking aside, it was not that bad, but it did need a good cleaning. I sold a brand new home in Fremont today. (not shown here) I am not the broker there at the new home in Fremont building site. Rather, I am the broker for TriCity Real Estate Brokers, Inc. here http://www.tricityhome.com. But, an earnest home buyer found my site and--long story short--bought a brand new home in Fremont at the new Cedarbrook subdivision. I also discovered that they read my prior blog post on New homes in Niles here. 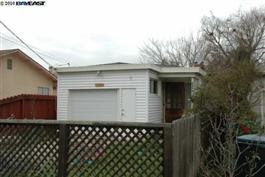 http://tricityhome.blogspot.com/2009/12/niles-area-of-fremont.html. On our tour of the homes, we were impressed with many things that led up to the new home in Fremont purchase. One thing we were educated about was the use of Hardie planks by James Hardie (facebook page). The name Hardie seems perfectly fitting. These are "hard" somewhat flexible, cement boards that make up the sidings for the new homes in Fremont at Cedarbrook. What was thought as or often referred to us as "scales" going down the of a front portion of the new homes in Fremont were actually Hardie planks shingles. They are designed to overlap just like wood siding. They have a good look to them and we really liked the "shingle" look that give the Craftsman elevation a traditional historic Fremont or Niles look. Hardie makes many different types of these exterior materials as well. What was thought to be regular wood siding that runs horizontally across the side of the house was again Hardie planks. What's more is that the Hardie materials were already colored to go with the well planned color schemes that new homes in Fremont have to undergo with the city of Fremont. The end result is one of the cleanest looks in a new home in Fremont can produce, not to mention the most durable. Parkmont Homes & Listed For How Much? At the time of writing this page (2-10-10) Parkmont Villas Townhomes on Bright Common and Lavendar Common have been hovering around 435k for a Via Bravo--the two bedroom 2.5 bath and 475k for the Villa Bella--the 3 bed 2.5 bath townhouses. Sometimes we get a scare when a neighbor lists their Parkmont home for sale at say $410k for the Via Bella--3 bed 2.5 bath at 1700 sq ft. I am often asked why this is, or I am asked if it will hurt the value of the surrounding Parkmont homes. Truth is that it is unfortunate that the listing agent goes so low on the very first day. After all, the agent's job is to get the most they can for the property, right? So, why so low? Sometimes out-of-area agents fail to know the Parkmont homes area or the comparables as well as the local brokers do and mistakenly listing the house for a low price. The redeeming news is that the market will bear what it can bear and usually market value is attained after a few weeks. Secondly, it does not seem to hurt the comparables too much. Case in point is that I just listed 38332 Redwood Terrace in Fremont at 519k (pie in the sky price). We got an offer for 470k after 45 days. Long story short, we got 485k EVEN AFTER IT APPRAISED FOR 466k and it's last comparable was around 465k. We received 485k. It could not get any better than that. Point being--do not panic if your neighbor lists for a ridiculously low price. Contact me using the form below for a real market value based on true comparables and true sold history along with experience in Parkmont sales prices. The goal here is to create a report for you to determine the market value of your Parkmont Home by looking at the real-time brokerage data. We will create the report by hand, but you need to type in the correct information so the job can be done correctly. We will then deliver the Parkmont report to you by email. If it is time to sell, let me know. I will get top dollar for your home as fast as I can.